Children of all abilities and ages need and benefit from sensory-based play. 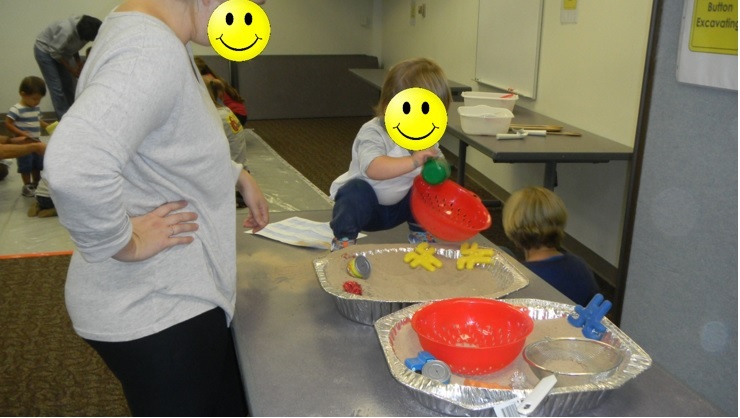 It allows them to connect ideas with concrete experiences, it stimulates the brain which helps strengthen neural pathways, and it helps develop fine and gross motor skills. Sensory play time. 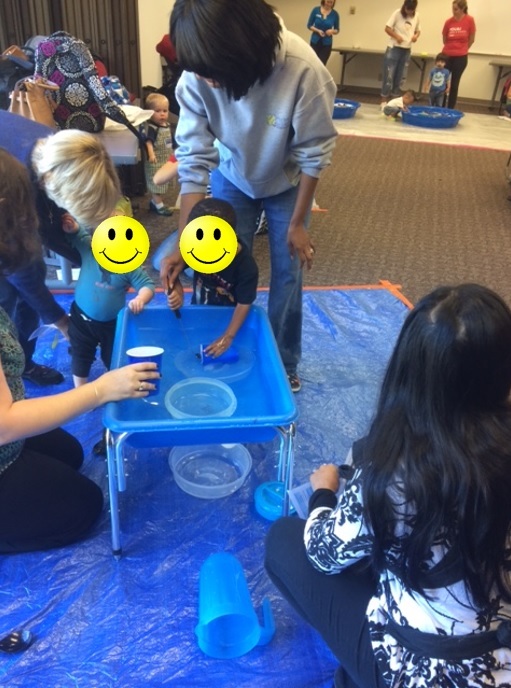 The Belle Isle Library in Oklahoma City recently began offering a monthly, hour-long sensory play time program which has been met with great enthusiasm from caregivers and children alike. The program is open to any child from birth to 5 years old. 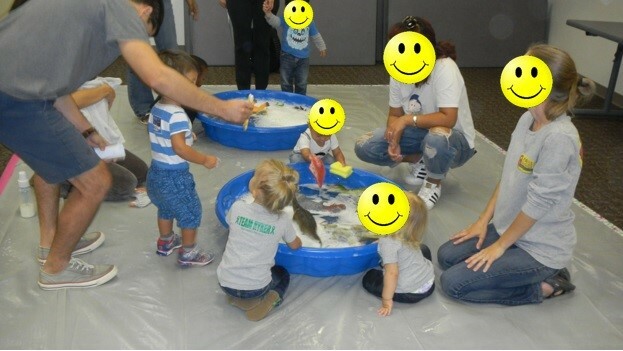 During the program, children move through ten different sensory stations with their caregiver. Grown-ups receive a handout detailing the instructions for each station, which matches it with a developmental goal and includes prompts to engage their children. 1 – Wash the Dinosaurs Give the dinosaurs a good scrub, using the various tools at your disposal. TODDLERS · Practice fine motor skills by gripping tools and scrubbing. · Describe function of different tools: scrubbing, brushing, washing. Having stations for both babies and toddlers allows for a wider demographic to attend, and also makes it easier for families with children of various age groups to participate. The interactive nature of the program encourages bonding between caregiver and child. Children can skip stations and spend more time at ones they enjoy most. We keep 7 or 8 stations the same each time, rotating in 2 or 3 new stations. This keeps the cost low since we can reuse most of the supplies. The start-up costs were about $100, with $70 going towards the purchase of a water table. Using every day items equips caregivers with ideas for activities to easily replicate at home. Wash the dinosaurs is the most popular station, and can easily be replicated with any plastic toys you have on hand: wash the trucks, wash the blocks, etc. Excavating in sand bins with colanders can be adapted for both babies and toddlers: the littlest ones will enjoy feeling the sand, and the older ones will have fun finding items hidden in the bins. 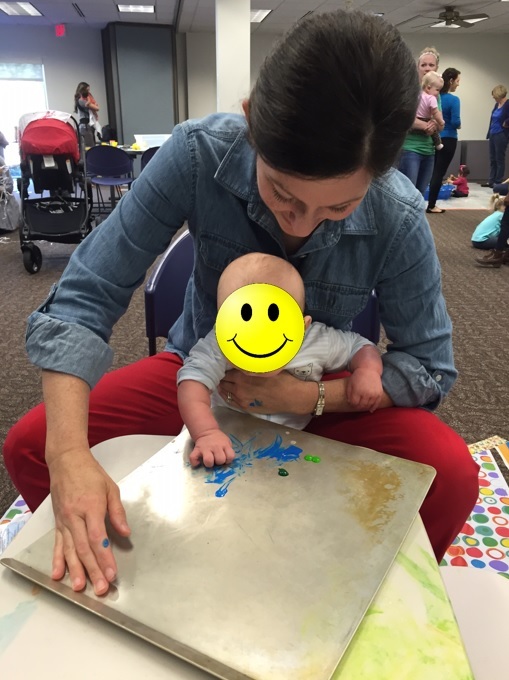 A local art teacher sponsored the sensory art station, guiding the children through a cold print monograph activity. Have children spread dollops of paint on a cookie sheet, press a piece of cardstock on top of it, lift it up with a pulling motion, and voila! A beautiful work of art each child can take home. The always popular water table. 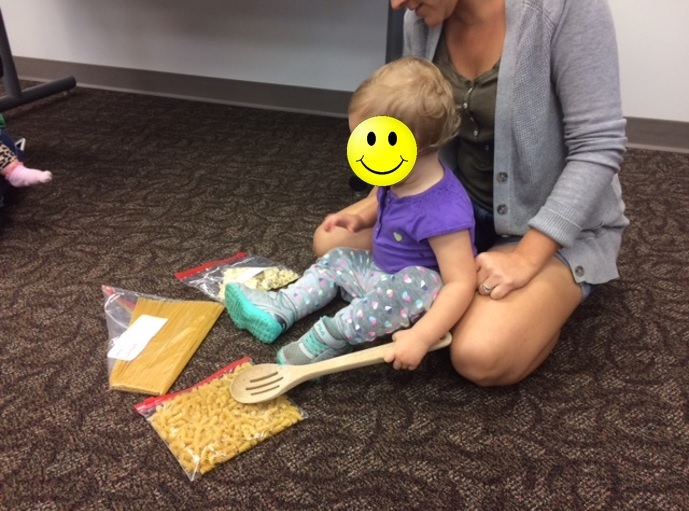 Dry pasta in a zip lock bag makes for a great activity to develop gross motor skills. Have children hit the bags to listen to the different sounds each bag makes. There are endless sensory activities that you can implement at a play time, and care givers will thank you for providing a space for all of the messy activities they think are neat but too messy to do at home. 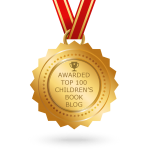 Today’s guest post was written by Katherine Hickey. 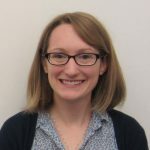 Katherine is a children’s librarian at the Oklahoma City Metropolitan Library System, and is a recent graduate from the University of Oklahoma’s School of Library and Information Studies. Great post! 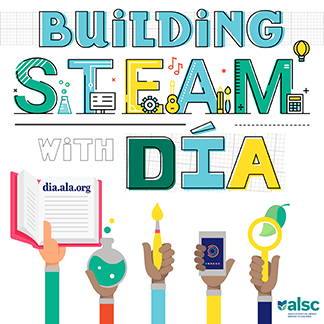 My colleague and I are currently hosting a Sensory Science program at our library for children on the Spectrum and neurologically typical children, and we are always looking for more ways to engage our young patrons and their families with STEAM activities such as these. We usually try to have 2 or 3 stations and it’s always fun to see which station the families gravitate towards the most. It seems like the first one they get to is generally the one they tend to stay with. But I’ll encourage them to check out the next one – before it’s time to go! – and they usually seem to really enjoy whatever that station holds, too! 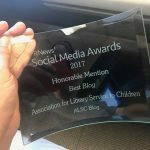 It’s so nice to know that you don’t need special training or a ton of money to make the library a good choice for kids with sensory and social challenges. I’m really interested in that Wash the Dinosaur station! So fun! (I especially like the idea of getting the plastic toys washed for us ; ) Thank you for sharing! Wash the Dinosaur has become a kind of staple of the program. It’s so much fun! I’d love to learn more about your sensory science program. I’ve thought of doing something similar but wasn’t sure how to tie in the educational piece with older kids. Hey Katherine – I was just revisiting this blog post while learning about Loose Parts Play, and saw this! It’s still relevant (and I’m still looking at that Wash the Dinosuars Station 🙂 I don’t remember if I replied to your query before. A lot has happened in our department since then and we don’t do the Sensory Science program anymore. We’ve focused our time more on outreach because we found going to where the children are works better for us than trying to get them to come to us 🙂 But every library is different, and if you’re getting kids in, and you’re still interested in what we did, I’d be happy to share. Just let me know! And thanks again for this great post! Go Loose Parts Play!! Fantastic! My library has done sensory storytime a few years ago too. I just had a question from a school librarian yesterday that she has special education class coming once a week and looking for ideas for sensory tables and/or simple and easy curriculums for grader children. Does anyone know a useful site or two? Hi Mai! Sorry I’m just now seeing this comment… I’d recommend the book 150+ Screen Free Activities for Children by Asia Citro. I get lots of my ideas from that book! She also has a blog called Fun At Home With Kids. Awesome ideas! I host a baby/toddler sensory play program every so often and I haven’t seen some of these ideas yet. Thanks for helping me keep it fresh! Such a fun and fairly easy program for our littlest ones, who often have fewer special program opportunities than the preschool and school age groups. Hi Amanda! You’re right, it is fairly easy to develop. It mostly just takes time to prepare and clean up afterwards. I also love that the program works for babies and toddlers together.